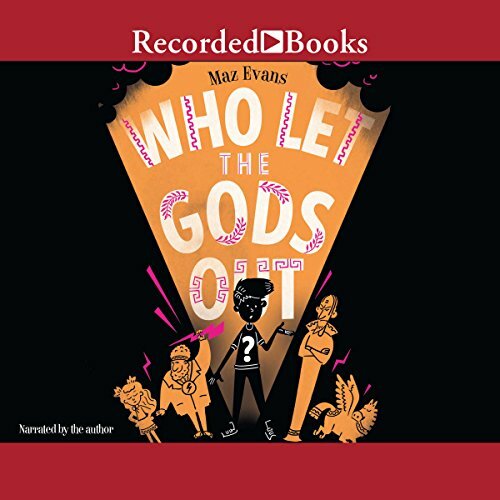 In the tradition of Chris Grabenstein, Stuart Gibbs, and Pseudonymous Bosch, a hilarious and action-packed romp involving one ordinary boy and a crazy cast of immortals. Elliot Hooper wants nothing more than a regular life for him and his mom. Then a Constellation of the Zodiac crashes from the sky into a pile of cow dung in front of him, and that wish explodes in a spray of...well...you know. Virgo, a 1,964-year-old girl, is on a routine mission to Earth and absolutely forbidden from interacting with mortals. So of course she takes Elliot along with her. But when an evil daemon named Thanatos escapes to wreak terrible havoc, their routine mission turns not so routine. For if Elliot and Virgo don't track down the retired Zeus and the rest of the Olympians and help them catch Thanatos, mortals and gods alike won't be long for this earth.